Acknowledging our heritage, we endeavor to impart a love and commitment to the Jewish people and Eretz Israel (Land of Israel) and an appreciation of G‑d’s Torah. 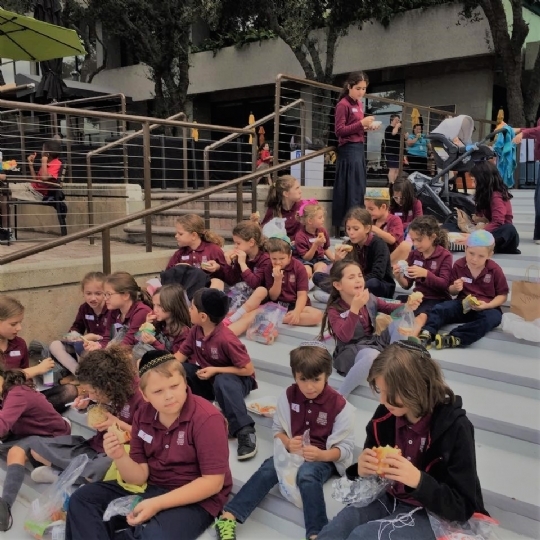 As Hebrew is the living language of Eretz Israel, we believe that Hebrew language skills, both spoken and written, are essential components of Jewish education and cultural literacy. They are also supportive tools for the successful study of Torah and other texts. Our classrooms are all well-outfitted, warm and inviting with a specially designed playground and outdoor equipment.